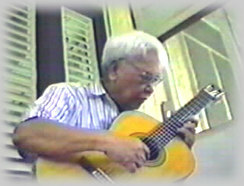 Nestor Vicente Madali G., aka NVM Gonzalez, was one of the authors I published in the early 60s in the Peso Book series. At the turn of the century, the series had 21 titles by 6 National Artists for Literature, proclaimed by several Philippine Presidents from 1973 to 2000. Six National Artists for Literature: Jose Garcia Villa, Nick Joaquin, Francisco Arcellana, N.V.M. 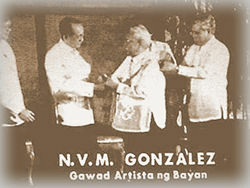 Gonzalez, Edith Tiempo, and Napoleon Abueva (as painter). Not too bad for an enterprise started in 1959 with a donation of Philippine P400! Like most of the work by young writers in postwar Manila, the slim volume written by the "provinciano" from Mindoro was "midwifed" by A.V.H. Hartendorp, editor of the late and lamented Philippine Magazine (ca.1929-1941). NVM's second book (his first title published outside of the Philippines) was reprinted by Peso Books. "Seven Hills Away," his first collection of short stories, was originally published by Allan Swallow in 1947. Like most of the work by young writers in postwar Manila, the slim volume written by the "provinciano" from Mindoro was "midwifed" by A.V.H. Hartendorp, editor of the late and lamented Philippine Magazine (ca.1929-1941). This magazine was the cradle and crucible of a young Filipino literature in a colonial language and was born between 1905 and 1910, 10,000 miles apart, on the campuses of a California university and of the Philippine State University. I first met NVM in 1965 on the UP Diliman campus when I worked as a steno-typist for the secretary of the UP Board of Regents. I was in his short story class and J.D. Constantino's poetry class when I won my first Palanca grand prize for the one-act play for "The World Is an Apple." It was in NVM's class that I met my future wife, Eva San Jose, who was working with the Manila Times staff that published Progress (annual). She had come to follow up on an article by NVM way past the deadline. Between 1961 through 1983, I would publish 100 prewar/postwar authors in over 75 titles. NVM's "Seven Hills Away" was the tenth Peso Book title. Based on the initial donated capital, I would not have reached the tenth, much less the 75th title, without the support of Atty. Bienvenido Tan, Jr., who headed Bookmark (then located on the lip of the estero off the Escolta), and his office manager, Eddie Makabenta. My next patron ("I have always depended on the kindness of strangers") was National Book. From the beginning, NVM was a close friend of printing and publishing firms. His first affiliation was with the Benipayo Press. NVM, as writer, university professor, and book author, was responsible for the encouragement of campus-based Philippine writing in English; for Philippine literary publishing; for the formal teaching of the craft and art of writing; for the beginnings of university presses in the country; and for the development of university-based writers conferences (in U.P. Manila-Baguio, Silliman U, etc.). He encouraged the publication by Bookmark of the first postwar literary journal (New Writing), Regal Press' journal, Comment, and a series led by "Six Filipino Poets," the first Benipayo title, edited by Len Casper, and other publications. Being one of the pillars of Philippine literature, he never went into publishing himself and never headed a publishing house or a university press. Instead, NVM was always an indirect influence or silent benefactor. Whenever I returned to Manila after migrating to the US in 1983, I would see NVM at various cultural bashes: literary symposiums, book launchings, poetry readings, theater galas, and far-flung writers workshops. Early in my writing career I shared a memorable merienda of ensaymada and hot chocolate with NVM at the El Gusto bakery in Quiapo. I asked him rhetorically why, despite the efforts and uneven successes of Jose Garcia Villa, Carlos Bulosan, Bienvenido Santos, Stevan Javellana, and Wilfrido Nolledo, the Filipino writers had had difficulty being published by mainstream Book Row in New York. His enigmatic answer was: "Because we write in English!" I was also with NVM at the UP-Baguio writers conference where I had expressed the feeling that the brightest hope for Philippine writing was the phenomenon of romance novel publishing. In an informal talk with the workshoppers, he described what Edgardo Reyes did brieflyand hundreds of others continue to do (writing romance novels) to this day, as "opening their legs for money." That was one of the few times I disagreed with him. I was last with NVM at the Ateneo just about the time he delivered a talk that shocked young and old writers alike. 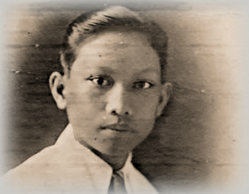 After his writing career in Englishsix decades spanning the 30s in Mindoro, the 50s in Manila, and the 70s under Marcos' martial law regimehe announced that the Filipinos (or at least the Filipino writers) should have been writing in Tagalog (Filipino) or another language of (their) hearth and home, whichever and wherever it was. NVM is not with us anymore. He has left us a legacy of writing, commentaries and criticism, and peripheral projects that have benefitted generations of writers and will continue to do so in the century and millennium in which we now find ourselves miraculously alive and active. NVM was truly a National Artistnot for the bungling Philippine president(s) who lately have overruled or tampered with the decisions of awards juries and judgesbut for the Filipino people and the Filipino writerswherever on this globe or in cyberspace they happen to be. The Awards ceremonies will be on December 8. For inquires, call Bang, 435-4573 (11a.m.-7p.m.). The Awards honor the late National Artist for Literature NVM Gonzalez's abiding love for the short-story, and seek to preserve and encourage excellence in this genre among Filipino Writers. His evocative imagery and sympathetic portrayals of humble Filipinos altered the course of Filipino writing in English. The first NVM Award went to Menchu Aquino Sarmiento last year for her short-story, "Good Intentions 101: SY '72-'73".